Have you ever wondered what “Hodge Podge” night looks like at our house? Well, the picture above is basically it. A little roasted broccoli, a couple fried eggs, maybe some sauteed sweet potatoes and a dollop of chive yogurt sauce to round it all out. And believe me, it was ever so tasty! Our first salad from the garden! 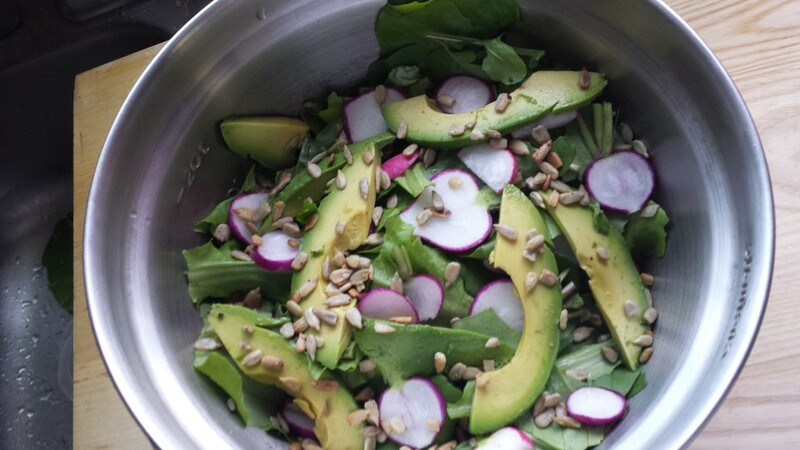 Butter crunch lettuce, arugula, spinach, and radishes. This weekend officially kicks off grilling season, and even though the forecast is a bit gray, I’m still going to dust off our BBQ and make some grilled chicken skewers. You’ll also notice a couple salads this week. The garden has been giving up lots of salad greens for us to enjoy, and the radishes are starting to make an appearance. Have a happy Memorial Day and here’s to the week ahead!